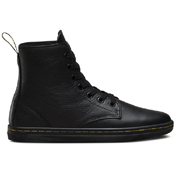 History of Dr. Martens shoes starts more than 100 years ago , but the first true iconic boot emerged in 1960. A distinctive yellow welt stitch, a two tone grooved sole edge and a unique sole pattern were nothing else, but well known 1460 boot. 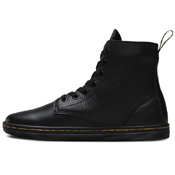 Launched as a functional work-boot in a short amount of time it became a fashion and cultural statement, symbol of rebellion and social revolution. A slimmed-down, streamlined version of iconic style, the Leyton is a lightweight, easy-to-wear leather boot. Classic Doc’s DNA is in full force, including yellow stitching, grooved sides and heel-loop. 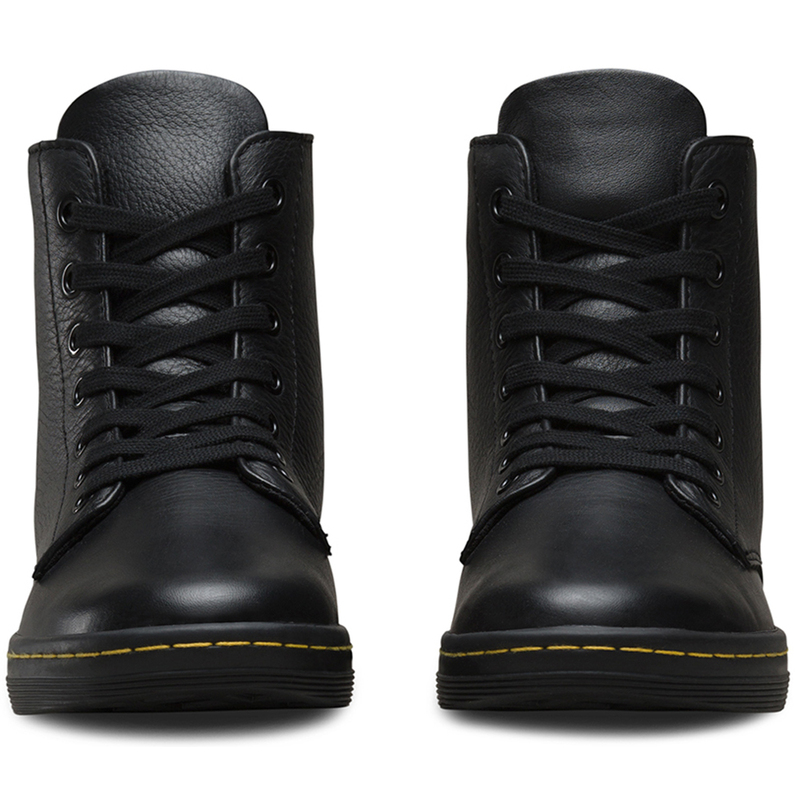 Clean away dirt using a damp cloth and allow to dry, then apply Dr.Martens clear or coloured wax polish as appropriate, using a Dr.Martens shoe brush, (Neutral can be applied to all colours). 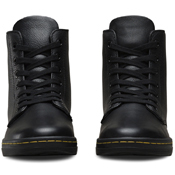 Allow to dry, then buff vigorously to desired shine using a second clean Dr.Martens shoe brush. (We advise to use 2 brushes per colour, one to add the polish and the second, clean dry brush, to buff up the leather for the best results).